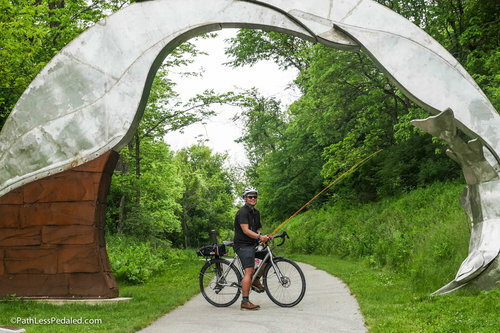 With the renewed interest in bike touring and bikepacking in America, there is no better time to pack a lightweight fly rod and head out for a great fishing-biking adventure. Here are three trails, ranging from remote to urban, that pass through some awesome trout fisheries. The Deschutes River Trail, from the confluence of the Deschutes and Columbia rivers, is a 12.5-mile natural-surface trail that excels in both scenery and fishing. There are several primitive campsites along the way if you want to make your trail experience into an overnight bikepacking and bikefishing adventure, or you can just pedal the route as an out-and-back and basecamp at Deschutes State Recreation Area. 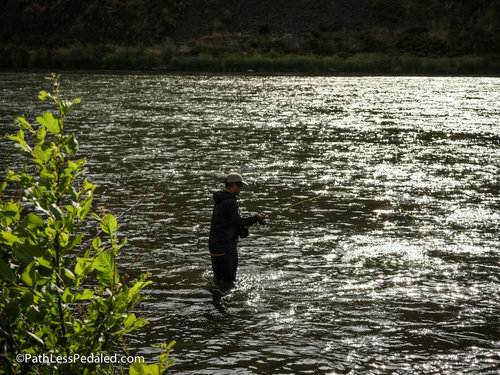 The Deschutes holds native redband rainbow trout as well as renowned runs of steelhead in the winter and summer, offering a variety of fish to target. The John Wayne Pioneer Trail is one of Washington’s best-kept secrets. While the former rail corridor extends for about 253 miles, the first 100 miles (also known as the Iron Horse Linear State Park) are the most maintained and navigable. The trail begins in North Bend (outside of Seattle) and continues east through the impressive 2.5-mile Snoqualmie Pass Tunnel. 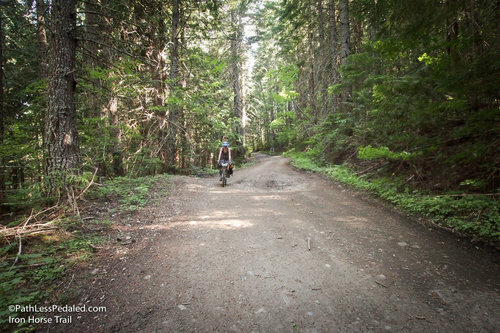 There are a few hiker/biker campsites directly off the trail that feel beautifully remote, making the trail ideal for bike touring and bikepacking adventures. After Snoqualmie Pass and into Ellensburg, the trail parallels and crisscrosses the Yakima River, known for its rainbow and cutthroat trout fishing. A 4wt or tenkara rod are ideal for fishing these waters. The Trout Run Trail is located in the northeastern corner of Iowa and circumnavigates the small but cosmopolitan town of Decorah. Trout Run is a family-friendly, 11-mile paved trail that incorporates a few hills to keep it interesting. Thanks to Rails to Trails for this article.